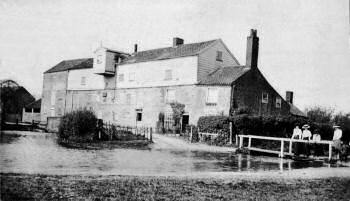 Hempton watermill was often known as Goggs' Mill, as the formidable Thomas Goggs owned and worked the mill between 1854 and 1888, using a combination of water and steam to power the machinery. 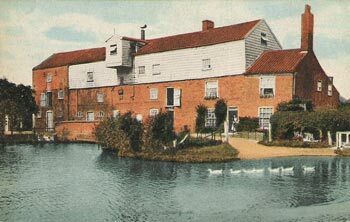 The mill was fairly substantial and built of brick and weatherboard with a Norfolk pantiled roof. 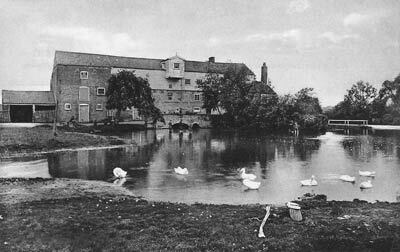 Hempton Mill was about two miles downstream from Sculthorpe_Mill and about a mile upstream from Fakenham_Mill, which meant that except in times of maximum river flow, the three mills would have had to have been worked in conjunction. 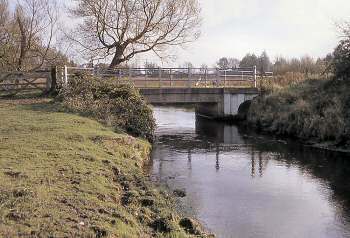 When Sculthorpe opened its wheel sluice and started to use its stored head of water, the outflow would head towards Hempton's dam, ready for use before being passed downstream to Fakenham. 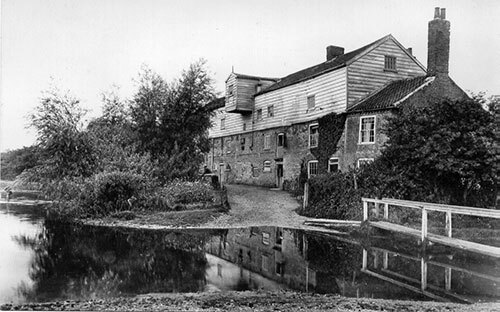 In order to maximise the efficient use of the available water supply the millers at each of the mills used a system of smoke signals to warn their colleagues whenever the sluices were operated. 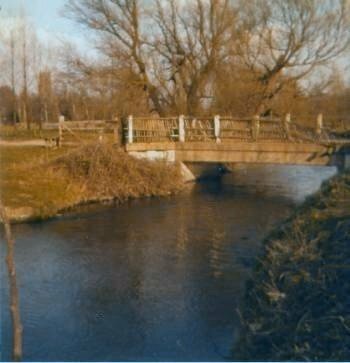 In the 1870s and 1880s, Thomas Richard Goggs was a miller, merchant and farmer, with an address at Bridge Street, Fakenham and another at Colkirk. 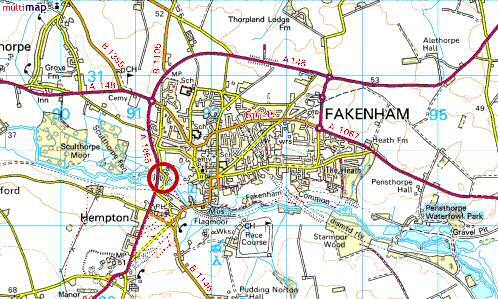 He was living at The Grove, Tunn Street, Fakenham. 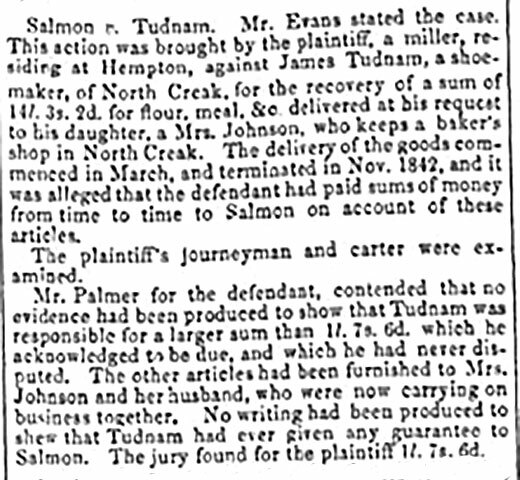 Estate of Richard SALMON of Fakenham, miller lately deceased Debts to Rev. Henry GOGGS, South Creake or William RIVETT of Fakenham. 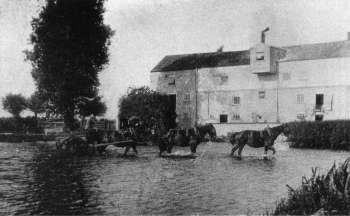 Horses, carts, mill implements and Household Furniture. Wanted. 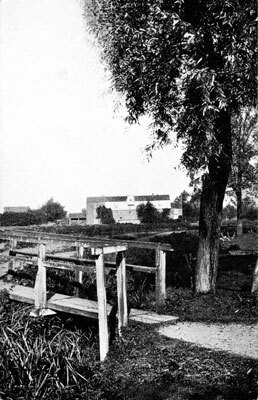 an experienced MARRIED MAN about 35 to take charge of a Water & Steam Mill & to live in the house. 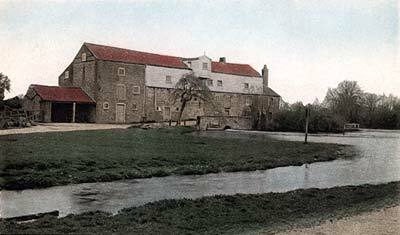 Apply to A.B., Hempton Mills, Fakenham. The foundry at Gt Walsingham held the pattern for the crown wheel. 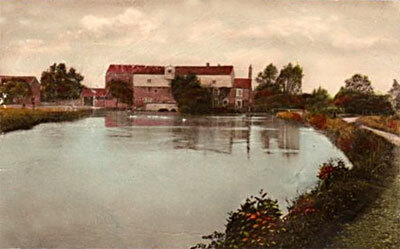 After the mill closed the Marchioness Townshend of Raynham announced her intention of establishing a public tea garden, provided the local authorities proceeded with their plan to lay down a bathing pool in the River Wensum nearby. 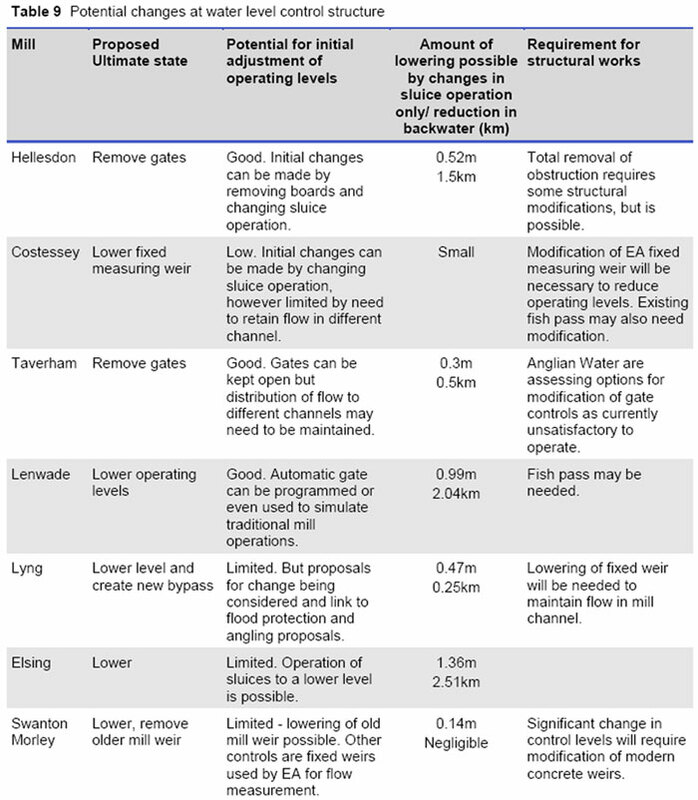 The authorities did not proceed with their plan to build a swimming pool and so the Marchioness did not proceed with her plans either. 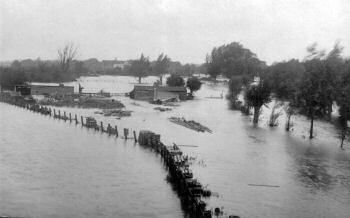 After the war, the mill became derelict and was finally demolished in June 1954 by the East Suffolk and Norfolk Drainage Board to improve land drainage in the area by lowering the river level by 1½ to 2 feet. 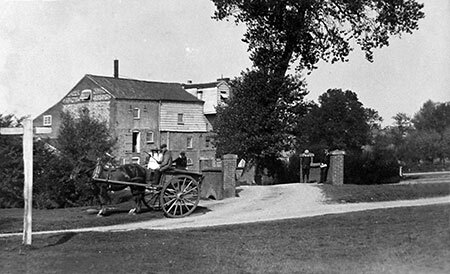 Workmen only took a day to demolish Goggs' Mill, one of the best known landmarks in rural Fakenham. 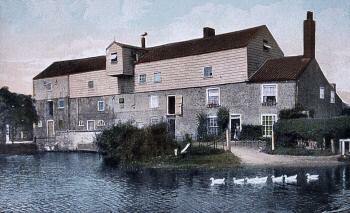 The work was done on the orders of the East Suffolk and Norfolk River Board, who bought the mill some time before. 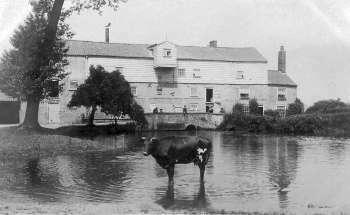 By 1958 all that remained were the mill house and brick foundations of the mill. 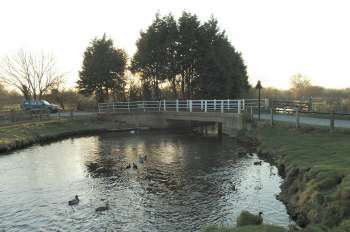 Fakenham Rotary Club then levelled the banks and sowed grass to provide a riverside walk. When browsing I came upon the Goggs mill. 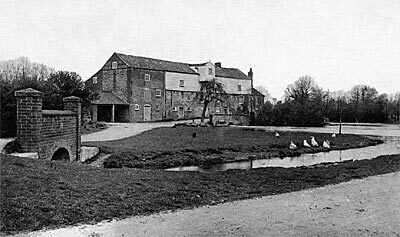 It brought a smile to my face as I knew the old mill well as I born and bred in Fakenham, Quaker Lane, which was only a short distance from the mill by the still in use foot path from Hall Staithe to the location of where the mill was in the 1951 photos. 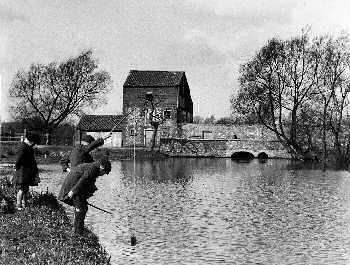 Where the trees are to the right my older brother and friends use to dive from the trees into the mill pond which was very deep then. 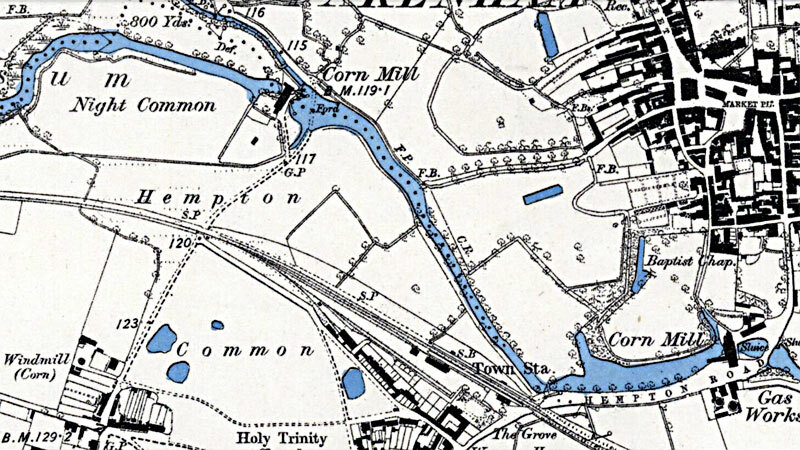 ALL of us in our family learnt to swim in the area of the mill and in those days 1950s and 1960s the mill area was very popular with so many of us who lived in the town at that time. 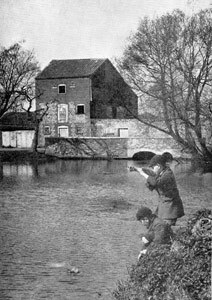 One incident that did not go down too well with the local police was that one day during the summer holidays myself and two friends were trying to dam up the river on the down side flow of water by the arches in the mill and we discovered LOADS of ammunition small stuff and large stuff which we reported to the police. 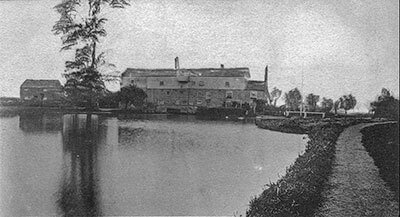 They were fed up because we were creating a load of paper work for them, I also think the incident was reported in the local paper, the police believe the ammunition was dumped in the mill pond after the 2nd WW by the local home guard. Thanks for the photos many many happy times were spent by the river and the Goggs mill. 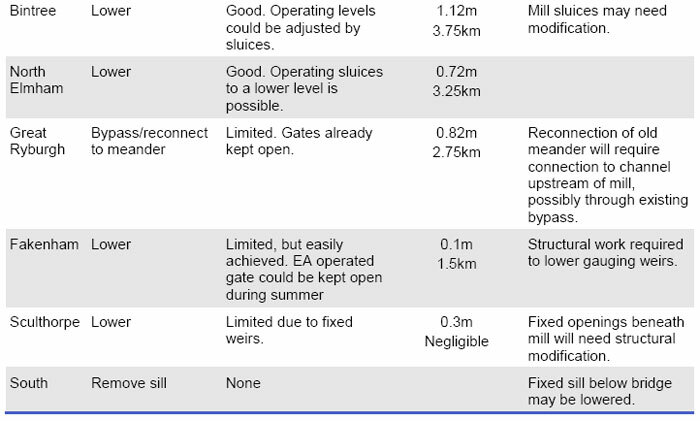 I always thought that the ammunition found next the bridge was from a army lorry which crashed through the bridge. 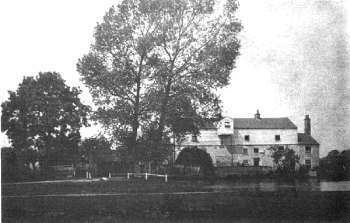 The last part of Goggs mill still standing were the stables. I remember changing my clothes in there when I was young. 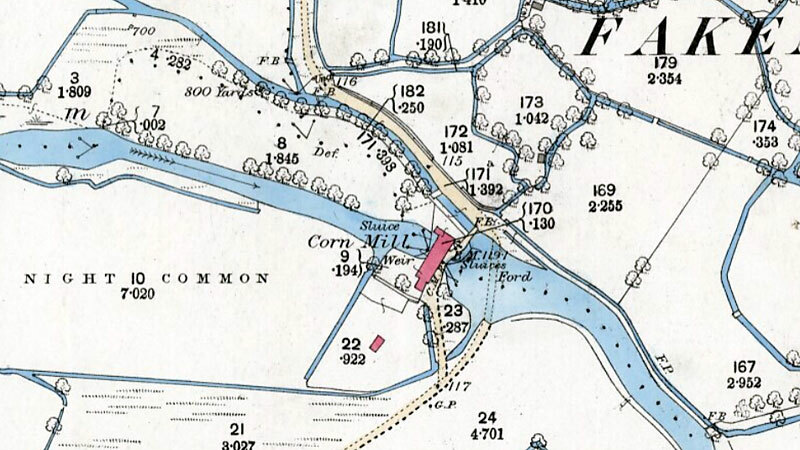 The dotted parish boundary line running through and to the north of Hempton mill on the above map, probably follows the line of the original watercourse before it was moved south and straightened in order to accommodate the mill.